DIPPING WELLS: IS There a Healing Well in Liberton? DIPPING WELLS: Wiltshire Healing Wells and the Strange Case of Purton Spa: What do the healing wells cure? How do wells become holy? Holy Well or Holy Grail? Secret Shrines: A Curse and a Queer Feeling at St Nun’s…. Secret Shrines: A Ghostly Sort of Place…. Secret Shrines: A Tale of Reincarnation…. Secret Shrines: In a Dark Sea Cave…. Will the Real St Brigid Please Stand Up? Rediscovered/Restored: Another St. Anne’s Well near Buxton. Was there a Roman water shrine at Brough, Derbyshire? 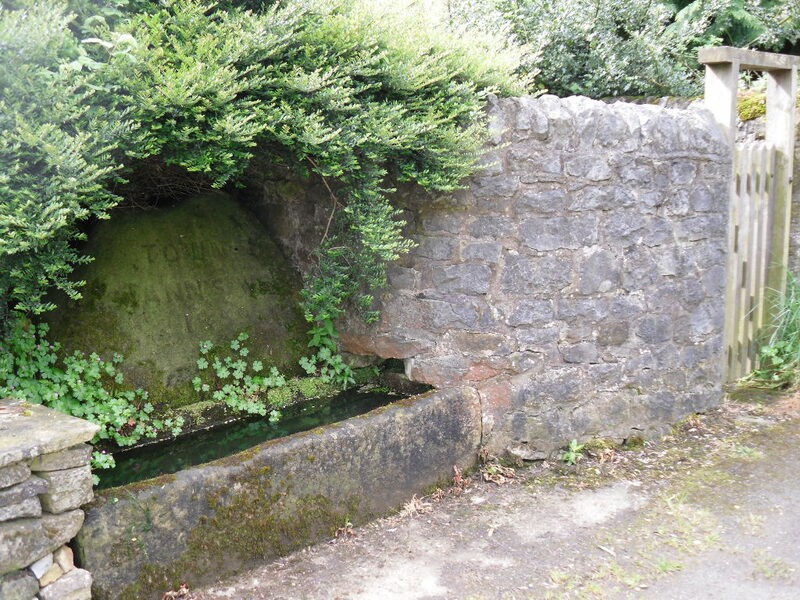 Whilst researching for the book Holy Wells and Healings Springs of Derbyshire, I came across a reference to a holy well which appears to have been ignored. Much had been written of Bradwell’s well customs and even consideration made for its thermal spring, but this was unrecorded by authors over the years only being noted on the first series OS map. I was eager to see it if it survived and doubted it had considering I had heard nothing of it. Overlaying the old map for the new OS map I pinpointed the location and went exploring. Taking a few steps off the main road I was pleased to see there was a well approximately where the well was marked on the older map. Also unlike other such forays this was not some boggy weed filled morass but a substantial structure and over the overflowing trough was carved into a stone the name – St. Anne’s Well. However this was a forgotten or at least unknown St Ann Well for it appears to have been completely missed from previous surveys including the most recent Jeremy Harte (2008) of English Holy Wells. However, a stone erected over the well clearly reads: Town Well or St. Anne’s Well. 1859. What was more interesting, furthermore, across the road from the well was a noted Roman settlement, Navio was there a connection? The well is quite a substantial structure consisting of two separate chambers. 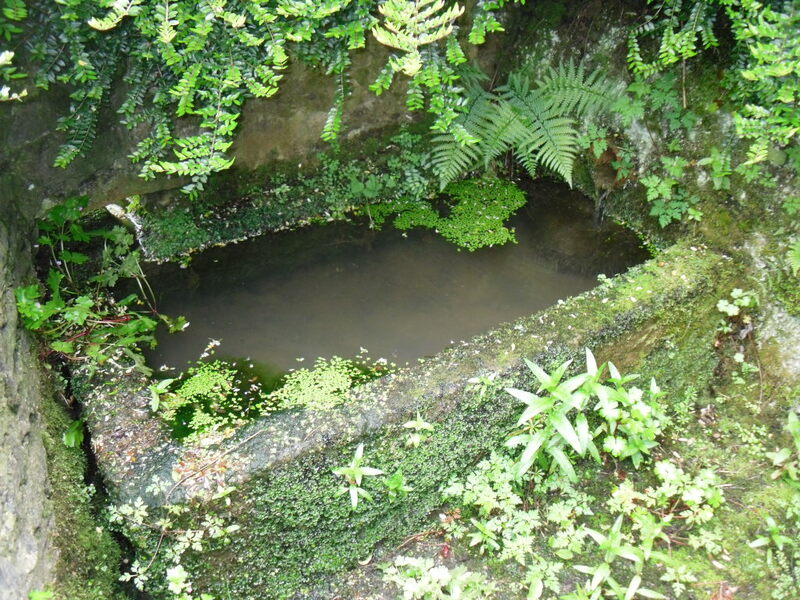 The spring fills at first a five foot, two foot rectangular stone trough enclosed in a small walled enclosure, which presumably was constructed for people. The overflow from this fills the trough beside the wall enclosure and beneath the large stone where the well’s name is carved. The arrangement is not an uncommon one to prevent contaminating domestic and animal supply. How old is the dedication? Bar the inscription, there appears to be very little concrete evidence. The most official being its notation as noted in copperplate writing on the first series of the O/S map. This suggests that the site was an antiquity when the map was drawn, however the Victorian love of antiquarianism as a form of vindication it is dubious. Possibly more convincing is are the names of the houses around, both are 1700s in date and are named after the well. The support for an ancient well. Yet despite the lack of any concrete written evidence it is possible that this site is a very ancient one associated with the Navio settlement. Let us look at the support for that argument. Firstly, its position. The spring arises on Batham Gate the Roman road to Buxton and a few yards from the Roman settlement. It would indeed seem odd that the Romans did not know it flowing as it does so close. It is also probable that it is the same deity, Arnemetia, which was celebrated at Buxton, so perhaps this is a memorial from there but that it does not preclude the deity being celebrated here. It is worth noting that on the outskirts, Brough does have another noted well which has been considered a thermal spring utilised by the Romans as a bath. 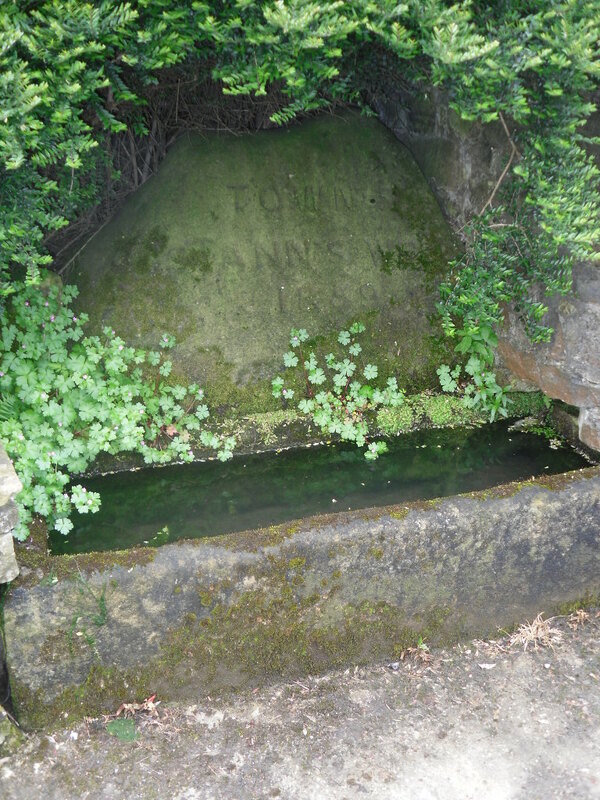 It survives as a campsite pond, called Bath Spring, it is more likely that the bath was that constructed in 1830 by a Robert Middleton of Smalldale. The main evidence against the theory is the lack of note of this. However evidence of absence is not absence of evidence. It may be also questioned why the well was not enclosed within the Navio enclosure. It may be that it formed a separate temple precinct and so would be kept separate. Of course there is always the possibility that some local antiquarian, decide to re-dedicate it. If they did why then not publicise it? Victorian works are full of these sorts of self-supporting arguments on antiquity so why does no one mention it? It is surprisingly absent from the main work on Bradwell – ancient and modern by Seth Evans (1912). This is surprising because the author took care to include notes on the well traditions of the community. Although he does relate that the settlement may take its name from a well at the Roman settlement. Interestingly, it is worth noting that Nottingham’s lost Saint Anne’s Well may have been called Broadwell (Bradwell?) may have been associated with the well, but it would be strangely coincidental even more so considering the well is dedicated to St. Anne (as is Buxton), this view is supported by Clarke and Roberts (1996) but they are unaware of the well! Yet here it is a great discovery – a St Anne’s Well a few miles from the famous Buxton one – but all but unknown! Irish Well Hunters A group actively seeking out Irish wells – not that the other sites dont of course! Journal of Antiquities A wide range of sites describes – a fair number of holy wells. Very informative and recommended. Megalithic Portal – Holy Wells The excellent wiki which has holy wells from throughout the globe listed. Essential! Southampton Springs A nice blog focusing on springs, not necessarily healing or holy, in the English town. Worth a look! The Weeping Cross James Rattue Website by fellow knowledgable enthusiast, researcher and author James Rattue non holy well subject matter as well.